According to Moon, at some point in the not-so-distant future, nearly 70% of Earth will be relying on energy derived from the moon. At a mining base on the far side of the moon, there is one man responsible for overseeing the extraction of helium-3 and its subsequent delivery to Earth. This man is Sam Bell (Sam Rockwell). With just two weeks left on his three-year work contract, Sam is starting to demonstrate signs of fatigue from his elongated period of isolation. The first time he is shown, he is looking all too rough with a Grizzly Adams beard. You can almost smell him through the screen. Aided by the idea of finally being able to see his wife and child, Sam cleans up with the help of his computer companion, GERTY (voiced by Kevin Spacey). One day, after leaving the base to recover a helium-3 canister, Sam suffers a hallucination and crashes his rover into a harvester, knocking him out in the process. When he awakens, he is inside the base infirmary with no memory of his accident. GERTY isn’t all that helpful in explaining the incident, immediately causing Sam to grow suspicious. His further investigations leave him to believe that he may not be alone on the moon after all — although his frequent hallucinations make it difficult for him to determine just what is real. 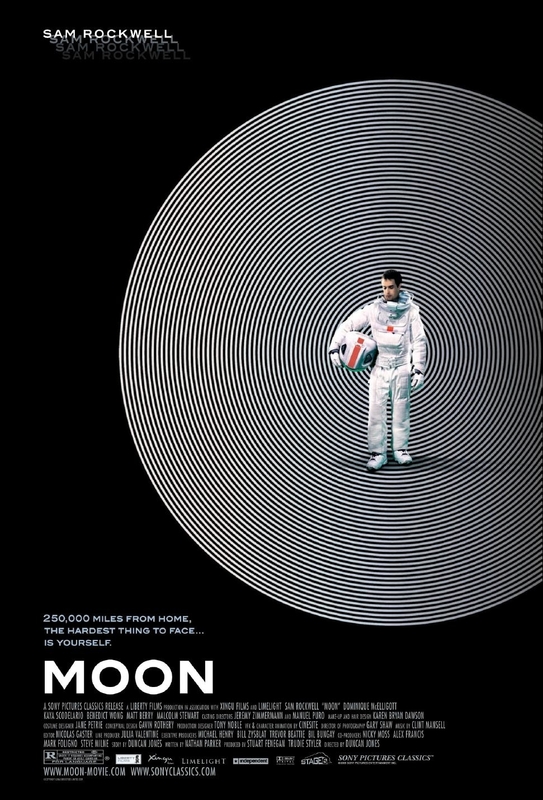 To say anything more about Moon‘s plot would be a discredit to the film and to its director, Duncan Jones (yes, the son of David Bowie). There is a major plot twist that pushes the film in a new direction, one that raises questions about humanity, loneliness and the ethics of technology. Although I am not as well-versed in classic sci-fi as I would like, it’s clear that Moon is influenced by some of the titans of the genre, the most obvious being 2001: A Space Odyssey. The introduction of GERTY immediately brings flashbacks of HAL-9000; in fact, Kevin Spacey’s vocal performance is not far removed from that of Douglas Rain. The HAL connection makes us question GERTY’s motives in the early going, though it does eventually become clear that the two computers are quite a bit different. It’s also hard not to see the 2001 influence through some of Moon‘s beautiful interior shots of the lunar base — Gary Shaw’s cinematography is often stunning. But most impressive is the performance of Sam Rockwell, who is on screen for nearly every minute of the film’s hour-and-a-half running time. Rockwell generally impresses in every one of his roles, but this may be his defining moment. His performance requires quite a bit of range, and it’s all the more impressive that he is able to do so almost entirely on his own here. It’s a shame that he was pretty much forgotten about during the award season. 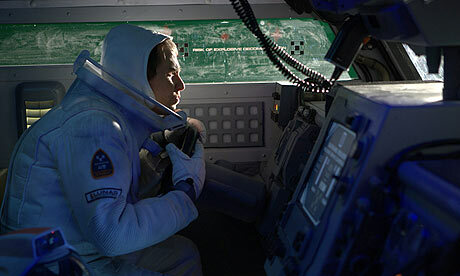 Moon isn’t a perfect film — its ending may be too “feel good” — but it is an impressive debut from Duncan Jones. Two years later, Jones would go on to make the underrated Source Code. His next project, a film based on the Warcraft video game series, is set to arrive in 2015. Given the near-brilliance of Moon, it’s easy to see why he is continually being rewarded with bigger budgets. And hell, if anyone can finally make a good video game movie, it’s probably Jones. I think you already know how much I enjoy this Duncan Jones film. Great write-up, Eric. I thought you might like this one. 😀 Thanks, Michael. In my top five films of all time, easily one of the best. Awesome review! Wow, top five all-time? That’s awesome. Thanks man. Really liked this film, brilliant review. Moon is a really impressive film by Duncan Jone, great review as well! Thanks! I think Jones has a bright career ahead of him. What amazes me the most about Moon is the fact that it’s budget is fairly low. 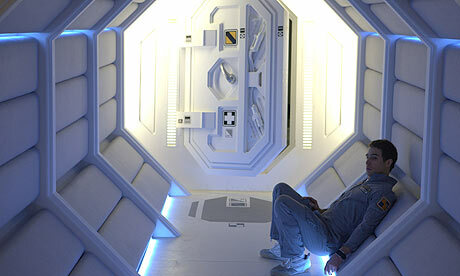 Duncan Jones got serious mileage out of it, and it doesn’t look cheap at all. Glad you were able to check this out, Eric! That’s a great point, Dan. Its budget was what, only $5 million? Very impressive! Great review Eric! No doubt Sam Rockwell could handle a ‘one man show’ like this as he often steal scenes in an ensemble. I haven’t seen this yet but will do at some point. I was impressed by Jones’ work in Source Code. This one is definitely worth a look, Ruth, especially if you liked Source Code. Nice review Eric. How Rockwell didn’t get a nomination for this is totally beyond me. Then again, why the hell hasn’t he gotten nominated for anything yet?!!? Yeah, Rockwell deserved a lot more recognition for this performance. He’ll get his day at some point… I hope. Nice one Eric. I absolutely love this film and Rockwell is outstanding in it. I’m amazed he didn’t at least get a nomination here. Thanks man. Rockwell can’t get respect anywhere, it seems. It’s a damn shame. He seems to have the respect amongst viewers but the awards just don’t happen for him. Oh yeah, he’ll have his day. He’s too damn good to be ignored for much longer. Great review! Rockwell is such an underrated actor, he always brings in his A game and his work in Moon is one of his best performances. Thanks! Rockwell is a highlight of every film he is in. Such a good actor. Glad you enjoyed ‘Moon’ Eric … and good to see the blog still running strong. Thanks, Sam, always appreciate you stopping by. 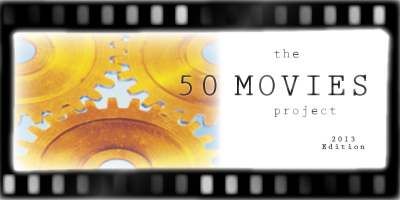 Keep up the great work at Movie Mezzanine!